HCS is a young, vibrant company who endeavour to provide honest, accurate and sound advice to assist property owners and their associates in making informed decisions and consequently capitalising on the value of their assets. HCS work on a wide range of construction projects both large & small and specialise in professional services such as Party Wall and Dilapidations enabling them to provide a comprehensive package. Potential new clients can be reassured that HCS is an independent company regulated by the RICS, offering clients a balance of the professional approach delivered with a personal and tailored touch. At HCS we believe much of our success is due to the relationships we build with our loyal clients who can trust us to represent their best interests. To discuss any building surveying requirements please contact us either via our contact form, e-mail, or call the number below. 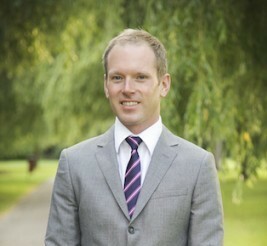 Christian is a chartered building surveyor with over fifteen years of experience in all sectors of the profession. With a wealth of experience and a diverse client base, including schools, industrial companies, regular and prime residential owners & management companies, office rental agencies and investors, Christian's reputation is well respected and well known. In addition he is comprehensively involved with the RICS having been both a Counsellor & Supervisor supporting candidates and now working as an APC Chairman & Assessor, evaluating candidates who wish to attain chartered status within the RICS. Christian's aim for his business is to offer a complete range of services, making the complexity of regulation and the challenge of cross sectorial working, as simple and cost effective as possible for his clients. As well as the team at HCS Christian has developed an impressive body of colleagues and associates who are available to supply any expertise his clients and their projects need.